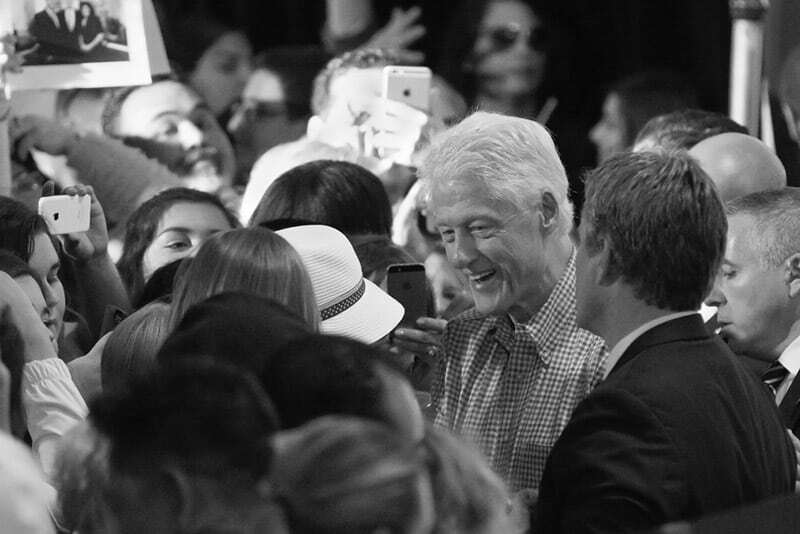 Ex-US President, Bill Clinton, has established a reputation for making people feel as if they are the only person in a crowded room when he interacts with them. He looks them in the eye, listens to what they have to say and is 100% present in that moment he shares with them. Paying attention is his secret weapon. And as Maya Angelou intimated, people never forget how Bill Clinton makes them feel. Consider this as you reflect on where you invest your time and effort in elevating your personal brand. Is it your LinkedIn profile? Maybe your Instagram or Facebook posts? Perhaps your website? In this digital world we live in, the brand image we portray is the very best version of our ‘edited selves’. The pictures we post are the ones that compliment us the most. The posts we write are corrected and rewritten to ensure we get the message across with maximum impact to paint us in the right light – is it humorous enough? Poignant enough? Intelligent enough? Attractive enough? I would hazard a guess that most of us pay most attention to establishing an impactful digital brand. Andres Sorman-Nilsson, Australian/Swedish global futurist and innovation strategist, warns that too many “rush toward the digital bling and forget about the analogue thing”. His book Digilogue promotes the sweet-spot in the convergence of the digital and the analogue. How much thought and effort do we actually put into showing up as the very best version of our analogue selves? The way we show up at each interaction, focused on the other and not ourselves; how we listen, really listen to the subtext of what someone is actually saying to us. The way we use not only words, but our voice and body to communicate congruence in our expression. We strive to be authentic, and reflect our values in our decisions and actions. These are all analogue elements. We can edit digital, we cannot edit analogue. Once we engage with someone it is done, we have not yet developed the ability to hit rewind and then edit. I believe the time is now to bring back into focus our analogue brand in this digital world. Consider how you make people feel after you have interacted with them. Our clients, our colleagues, our friends, our family. 1. Be Present – not pretentious. Channel Bill Clinton, by being 100% in the moment, undistracted by anything past or future. We live in a world where there is a constant battle for your attention. Your ability to resist those distractions and really pay attention to the other person is a point of differentiation. Build relationships with others through empathy, that is, walk in their shoes and by listening to the subtext of what they may be saying by not just focusing on their words but also their heart, their body, and their eyes. When you express yourself use all available channels – your words, your voice, your face, and your body to deliver one congruent and authentic message. When we mute any one of these available channels, we are just making it more difficult for the other person to grasp our meaning. One of our clients said to us “I thought expressing myself was an act of self- indulgence, and then I learned that it was an act of generosity”. Are you hiding behind masks to cover up your weaknesses? Many of us do. The advances in neuroscience indicate that people can see through the masks you wear. Remove those masks by admitting mistakes and failures. We have all made them and that doesn’t make you a flawed human being. Get in touch with your values and know what you stand for and make sure you reflect them in your decisions and actions. Our analogue personal brand is our differentiator. It’s difficult to copy and it carries a far greater punch. You also cannot outsource your analogue self as you can your digital self. Isn’t it time you paid more attention to your analogue brand? Our work at Ariel is all about developing the very best version of your analogue brand with our personal presence and professional skills courses.